Dana has already learned that love isn't safe...but could it be different in Rock Harbor? As a 911 dispatcher, Dana Newell takes pride in being calm in tough circumstances. In addition to her emotionally charged career, she's faced enough emergencies in her own life. She recently escaped her abusive fiancé to move to tranquil Rock Harbor, where she hopes life will be more peaceful. But the idyllic town hides more danger and secrets than it first appeared. Dana is continually drawn to her new friend Boone, who has scars inside and out. Then she answers a call at her job only to hear a friend's desperate screams on the other end. Soon the pain in her past collides with the mysteries of her new home - and threatens to keep her from the future she's always wanted. I am not sure what I thought this was going to be about, but when I started this I was surprised and was excited to get into this. It started off with a bang! As the story went on, I was just not excited and was finding myself bored. This had so much potential but just fell flat for me. This is the best book I have listened to by Ms Coble...I have listened to many of them. The bad man is a complete surprise at the end. This is a wonderful Christian book...and a clean read...and talk about a mystery! Wow!!!! I highly recommend this book to one and all!!!!! Amazing story, Suspenseful, intriguing. Could not read if fast enough. Like so many Colleen Coble stories. Strong characters, great story, lots of surprise. Can't wait for the next book! Interesting story, but the female characters were annoyingly naive and gullible. The thread of self growth and actualization seemed forced. The religious references seemed forced as well. Nice to have another story in Rock Harbor. 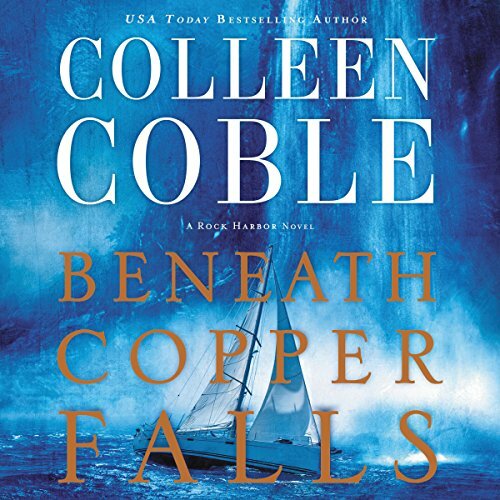 Colleen doesn’t disappoint the reader as she weaves another complex tale involving characters you’ve known from past books. Also good as a stand-alone story. The mystery took awhile to decode but I was on the right path before it was revealed to the reader. She writes a great story with intrigue, mystery, romance and deception. The only thing I wonder is the motive behind the one doing harm and more backstory on that character and understanding. I think the explanation would enrich the characters affected as well. Great read. I always look forward to her books! loved this book. while I have had a hard time w the storylines in this series and following them. I found myself once again have icing a hard time. having to rewind every time I picked the book back up. other than that fantabulous book! Very depressing sad story of suffering. I did not enjoy this one at. Stopped at 1 hour of constant violence. I loved this story. Action, romance, mystery. A wonderful book. I really liked how they both were able to work through their pain and find healing in the end. Dana and Boone I mean. Thanks for writing it. A wonderful performance of a great story! A wonderful performance of a great story! I didn't want to stop listening to it!